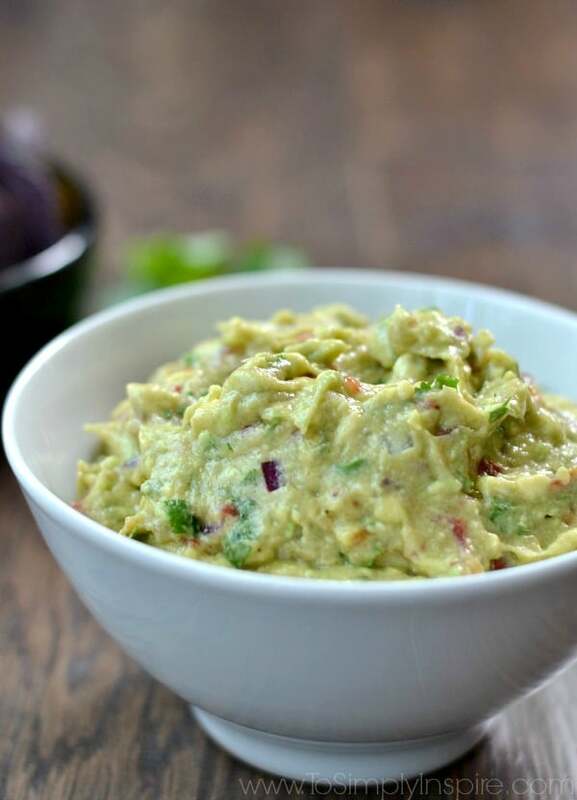 This easy Homemade Guacamole recipe is made with just a few all natural ingredients. Serve with your favorite chips or as the perfect topping on burrito bowls, chicken or fish. 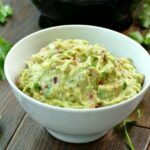 For years, I didn’t make my own guacamole. It was always one of those recipes that I thought was much harder to master than it truly is. My sister-in-law introduced me to making my own guacamole a few summers ago while we were on vacation at the beach. 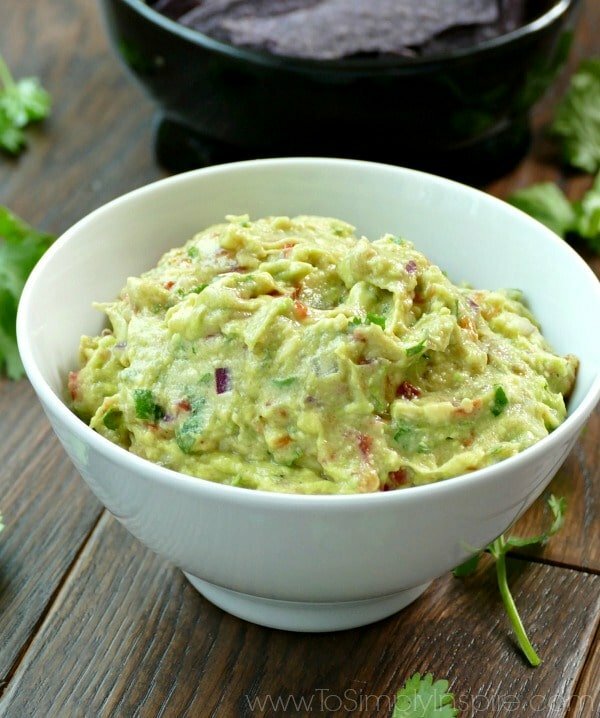 It’s just a few simple ingredients mixed together for the best tasting guac I have ever had! Go ahead, whip up a batch, grab you favorite chips and dig in. Add all the ingredients to a bowl and press with a fork until desired consistency. Serve with your favorite chips or atop chicken or fish. Thanks so much for sharing your awesome recipe with us at Full Plate Thursday. Hope you are having a great day and come back to see us real soon! I love guacamole and this is exactly how I make it. Although I don’t always add the cilantro. Thanks for sharing with SYC. 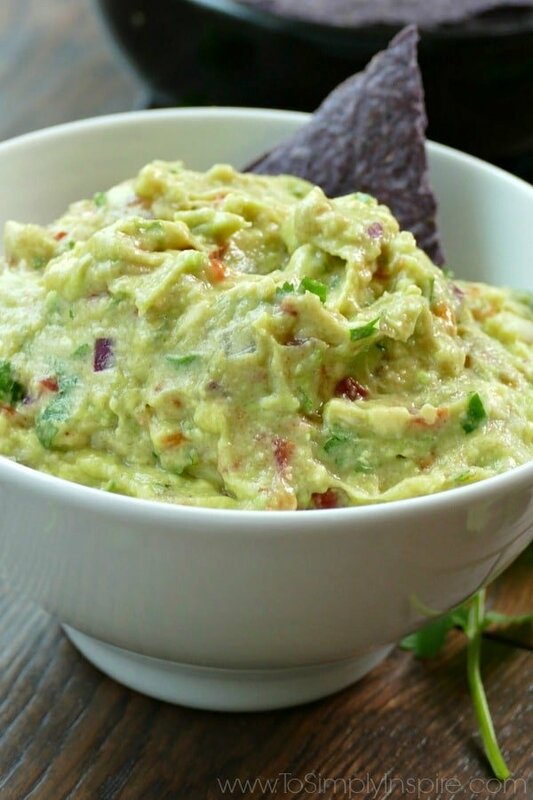 There can never be enough guacamole in the world! Yum I would love a big bowl of this right about now! Looks delicious. 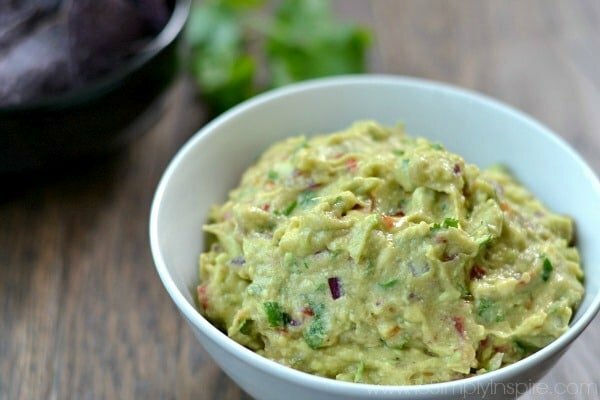 I saved the guac and corn salsa to my recipe file. Thank you so much for sharing. 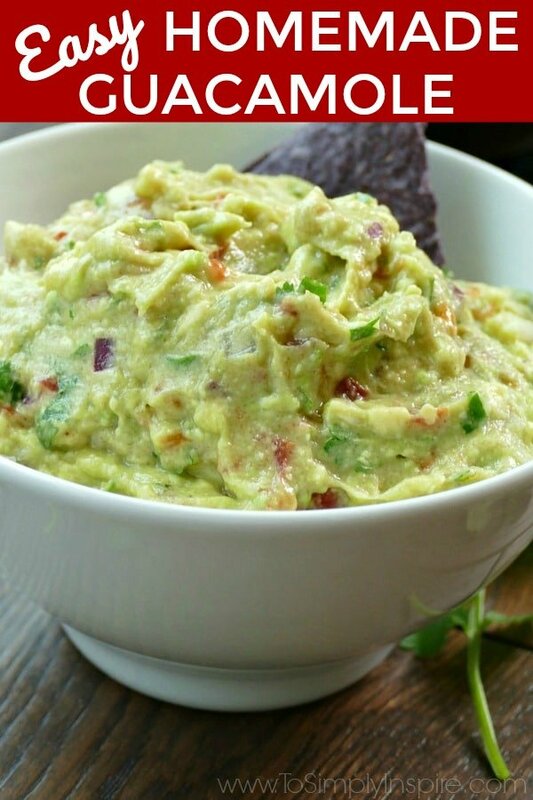 I love guacamole and living in Florida, there’s lots of avocados to use. Yum Sounds so good. You’ve inspired I was trying to decide what to cook for dinner. Alas no fresh avacodo’s but I’m making fajita’s. I’ll be trying as soon as I can get some!